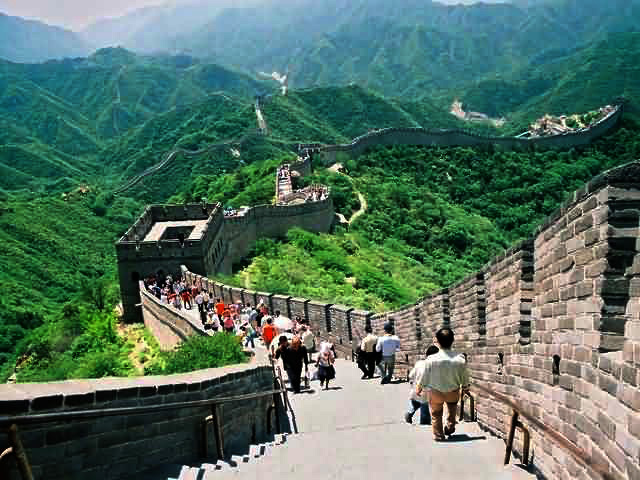 This tour will lead you to experience the ancient Beijing and modern Beijing. 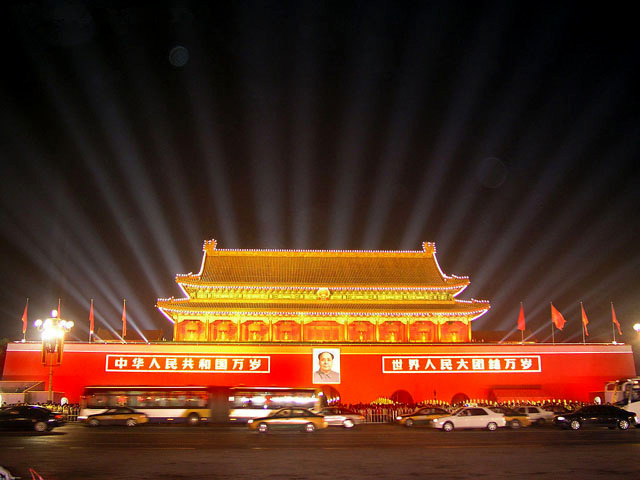 You will visit Tian'an men Square which is the landmark of the nation; Forbidden city, Temple of Heaven and Summer Palace will lead you to the history and culture exploration of China; you can also have a trip to Badaling Great Wall; At South Luogu Lane, Hutong walking tour would let you know more about the locals' life style; you will also feel the modern Beijing by visiting Bird's Nest& Water Cube. Remarkably, you will taste well-known Peking Roast Duck. 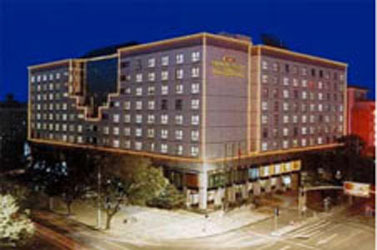 This tour offers you with a whole impression of Beijing, including major attractions and Peking Roast Duck. One-stop service, incl. tour guide, hotels, meals, transportation, attraction admissions andinsurance, etc. Caring, experienced local guide & driver will be of great help to ensure your safety and comfort on the way. 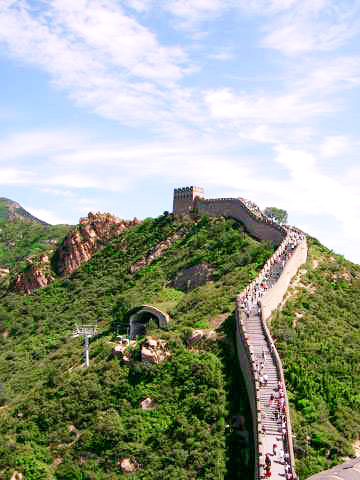 Today's Activities Wish you have a good journey to Beijing, and our guide will meet you outside the customs of Beijing Airport after you clear the customs, and then transfer you to the downtown hotel. The rest of the day is flexible for your will, have a rest or take a walk near the hotel. While if time permits, you can go to Wangfujing Street - a very famous commercial street for shopping and tasting Beijing local snacks. 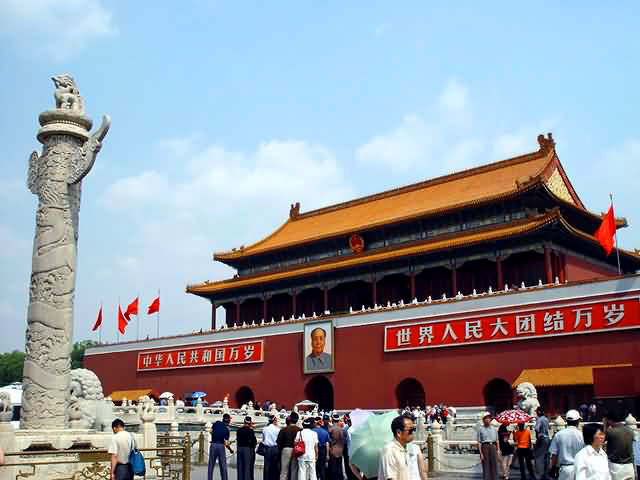 Today's Activities After breakfast, you will visit the Tiananmen Square to start your Beijing tour. 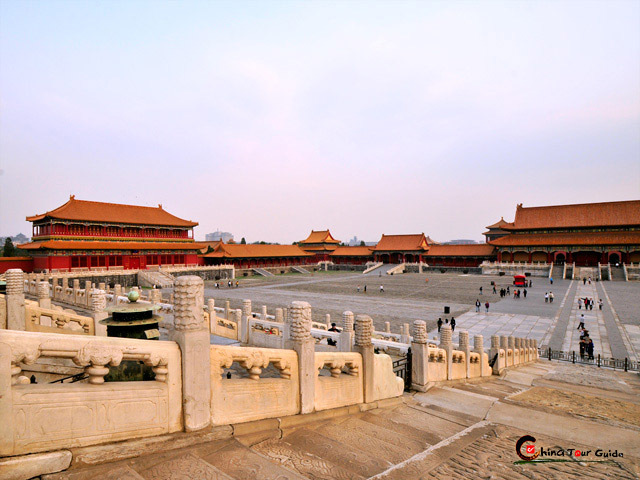 Strolling round the large square is very enjoyable where you will see Beijing with ancient and modern elements, then walk north to the Forbidden City. 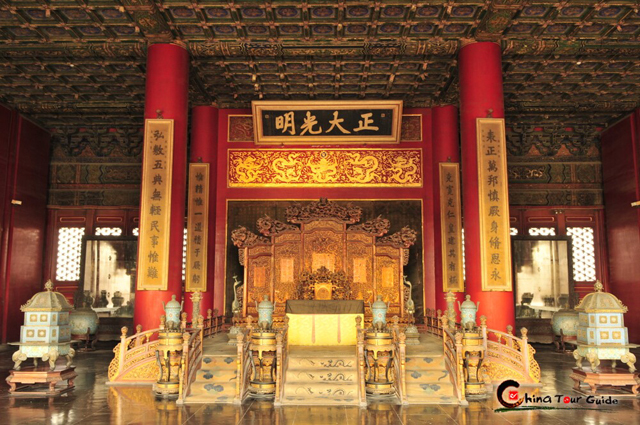 As the largest and best-preserved imperial palace in China, it vividly indulges us with a whole impression of the royal life. And also you can appreciate lots of national treasures in Treasure House of the Forbidden City. 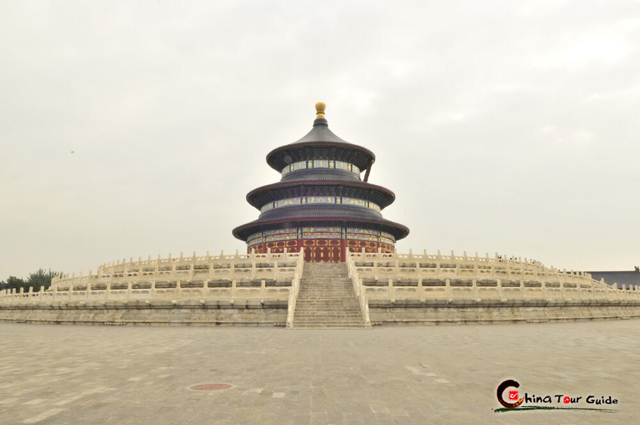 Later, you will visit the Temple of Heaven, where the Emperors of the Ming and Qing dynasties once worshiped heaven and prayed for good harvests. Nowadays, it serves as a park. And most of Beijing People would come here for doing physical exercises. 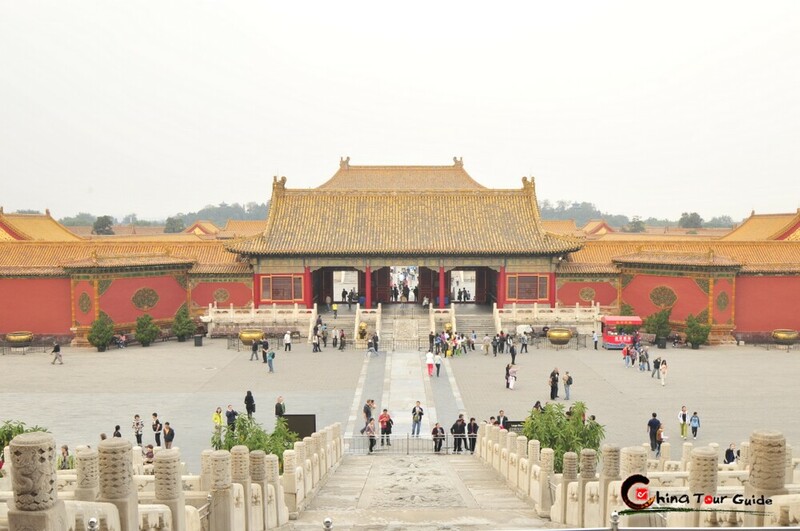 Today's Activities After breakfast at hotel, you will go to the most famous tomb of Ming Tombs - Changling, it is the largest in scale and is completely preserved, inhumed the fourth emperor of Ming Dynasty. Also you will visit the Sacred Road of the tombs, which was originally built to lead to the Changling mausoleum. 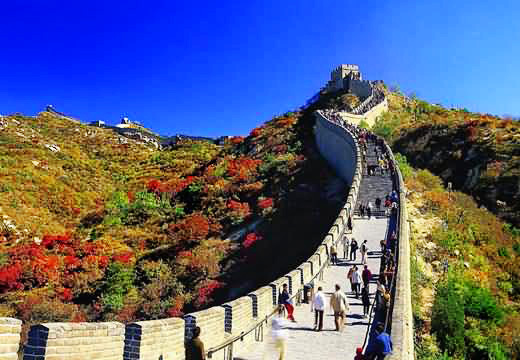 Then you will have an excursion to the Badaling Great Wall, which is regarded as the most popular section of China Great Walls. 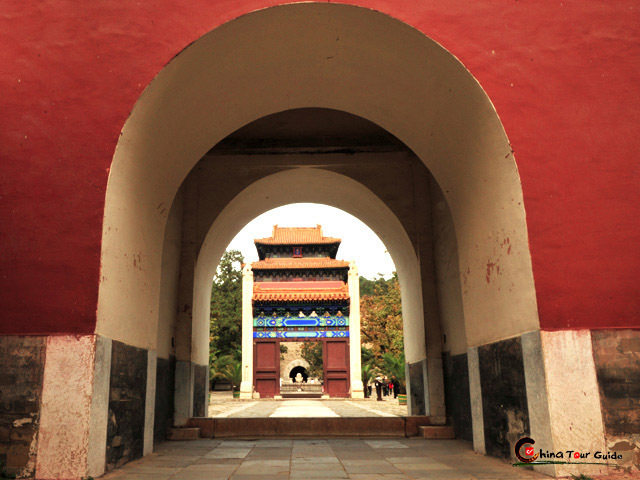 It is also the best-preserved section, built during the Ming Dynasty. Later While driving back to downtown Beijing, you will stop by the Bird's Nest (Olympic National Stadium) and Water Cube (National Aquatics), to view the unique constructions and take some photos. 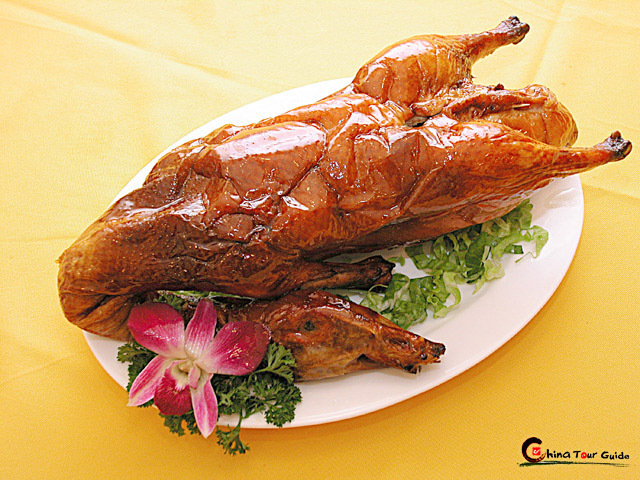 At last for dinner, you will have a good chance to taste Chinese famous Peking Roast Duck. 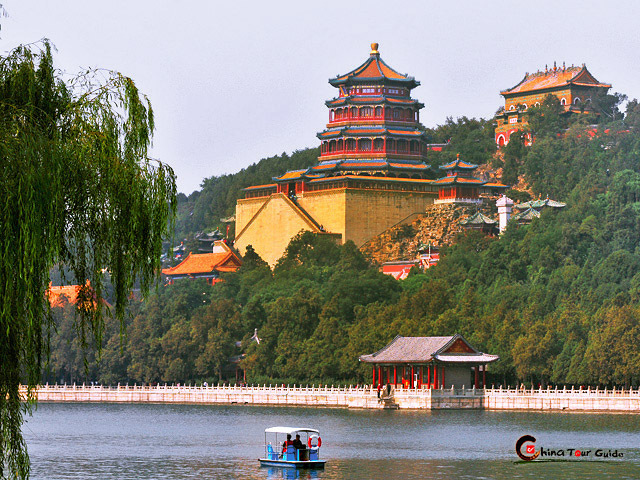 The last day, after breakfast, you will appreciate Chinese featured royal park - Summer Palace, which boasts of typical Chinese architecture and splendid landscapes. 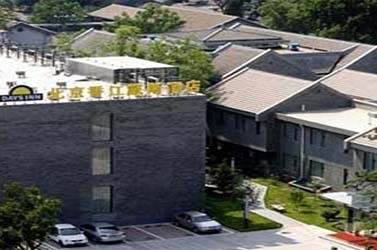 Later you will explore Beijing Hutong by walk to know more about the life and culture of ordinary Beijing people. 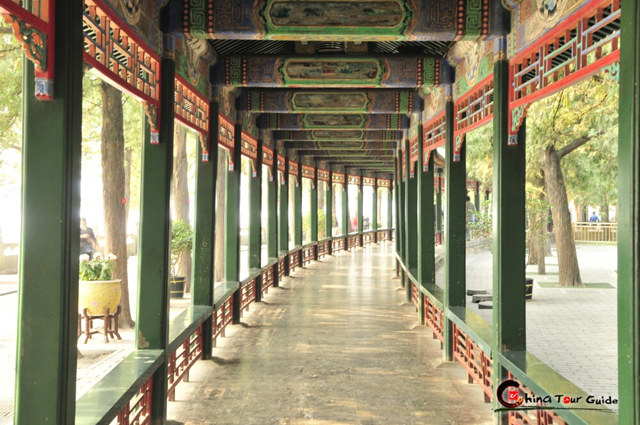 The visiting of South Luogu Lane can provide you with a distinctive travelling experience compared to other attraction. At the end, our tour guide will take you to airport for your flight to next destination. 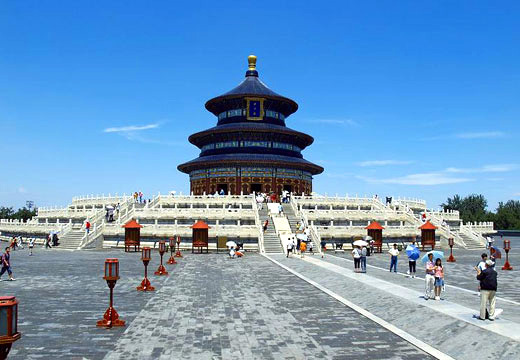 ChinaTourGuide.com believes you will love Beijing and keep forever memories about China in your whole life. Sara, Thank you for a fantastic trip! We returned on Sunday night with a big smile in our faces. Pls do treat my cousin Anne as well as you treated us. Anne, her husband and their son also live in Hong Kong and would like to visit Beijing with some friends of them in September. I leave them in your capable hands. Your tour guides were really nice people, particularly Leo. He is definitely an asset to your business. I will write you more detailed feedback later. Thanks. Hi Michelle, Thank you so much for your nice and good plan trip that you gave us, really it was amazing. We really like Beijing and got an amazing photos and souvenirs and tea... And about the comments, actually the service of your guide Babitt it's very very good, he was so nice and give us all the info about everythings and he help us in many things, the driver too is good. So no comments about them. Chapeaux Bas! 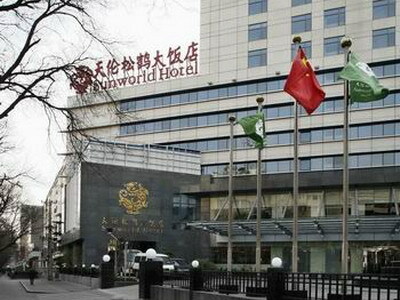 Anyway for me really i had a great time, and we are thinking next year to visit Shanghai. So sure and ill be so happy to contact you again to give me a good plan fo my next trip. Thank you dear Michelle, hoping to meet you next year. With Best Regards.